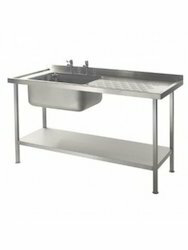 Our range of products include stainless steel scrub sink, pot sinks and stainless steel wash troughs. We are involved in supplying a wide range of Surgical Surgical Scrub Sink. 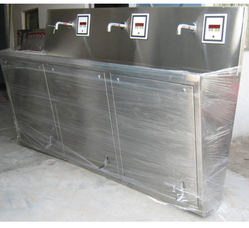 Surgical Scrub Sink is fabricated by the reliable vendors of the industry by considering the various requirements of the medical industry. Our offered products find application in OT complexes. 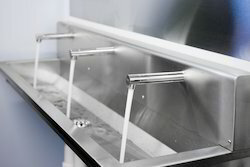 Our product range is offered with a suitable sink for per OT scrub up. Removing any kind of cost barrier, we offer these products to our customers at the competitive prices of the market.Scrub Station. Our experts make use of high quality mild and stainless steel in the manufacturing process. Besides, we customize these on the basis of the specifications of our clients. We are engaged in the sphere of manufacturing and supplying a wide range of Pot Sink. These are manufactured with high quality raw material to ensure sturdiness and durability. Available in various sizes, our Pot Sink can also be customized as per the specifications, provided by our clients. Stainless Steel Wash Troughs made of SS304 suitable for all types canteen like workers canteen, hotel & restaurant etc. These washbasin are designed & customized as per the requirement of the the customers. This washbasin made of high quality steel and it is never gain rust after many years of use.